CJ-8 Rock Sliders No Tubes 72-86 Jeep Scrambler C-J8 TNT Customs. Jeep CJ rock sliders. 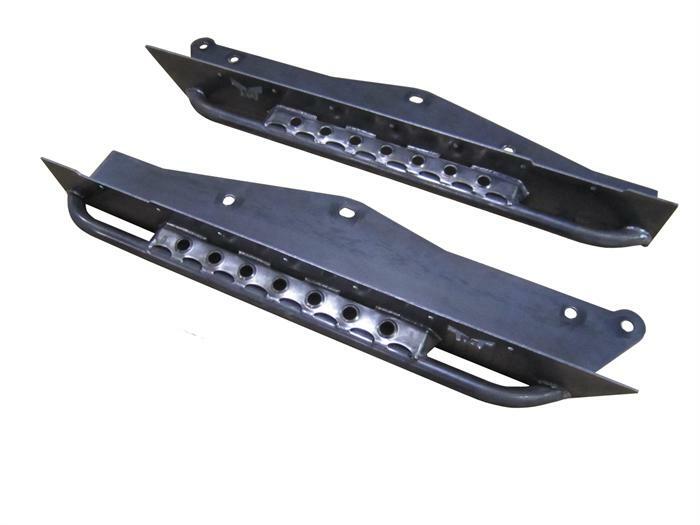 TNT Rocker sliders for Jeep CJ8 Scrambler are designed for the off-road enthusiast. TNT rocker panel protection is the perfect blend between cost and function, 3/16 inch steel, CNC cut, and formed steel for strength. Our robust design captures the mid and rear center body mounts. To facilitate our tube fenders and the various different plastic/rubber flare combinations jeepers use, our slider stops flush with the firewall.